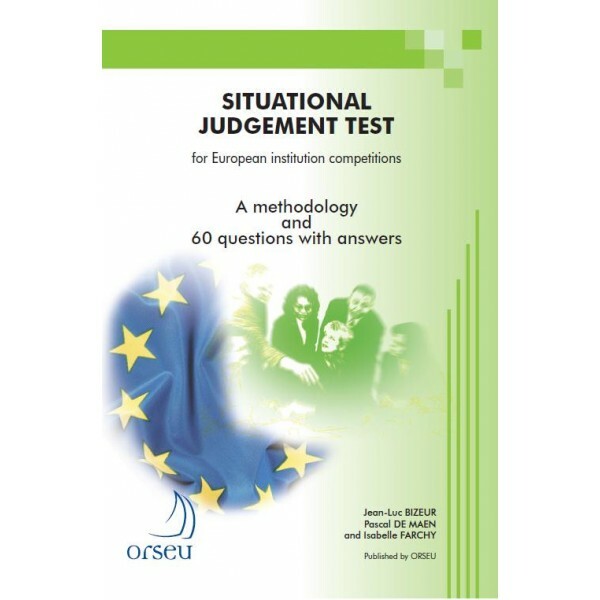 This book is designed to prepare candidates for the Situational Judgement tests (SJTs) used in recruitment to the European Institutions. SJTs are a particularly important element of European competitions. They serve as a footbridge between preselection and the assessment centre. Candidates who are successful in the preselection phase will find themselves faced with their SJT results at the assessment phase. Situational judgement tests, like all work-based role-play tools, are being increasingly used in selection processes. They consist of situations that mirror the roles that candidates will actually be required to perform and therefore directly explore a candidate’s suitability for the post in question. Situational judgement testing assesses a candidate’s ability to analyse problems and their competencies for the role required. Common sense is not enough. Candidates also need to have a good grasp of how the European civil service operates. the second part consists of 60 questions with detailed answers, allowing you to prepare yourself with questions of the same kind as those used in the competition. Only the best prepared candidates are successful.